February 21, 2017 1:31 pm. The Randwick Guineas is a popular race over a mile run under set weight conditions at Randwick race course in Sydney, Australia. The 1600m race has prize money of $1 million dollars, and was formerly known as the Canterbury Guineas from 1935 to 2005. The change of name came when the venue of Randwick was set in stone following four different race-day hosts since the event’s inception. The Randwick Guineas and the Rosehill Guineas are regarded as the two major lead-up races to the Group 1 Australian Derby. In fact victory in this race guarantees entry into both the Australian Derby and the Doncaster Mile, making the $1,000,000 on offer even more enticing. The Autumn Sun wins the 2018 Golden Rose. Source: Bradley Photos. 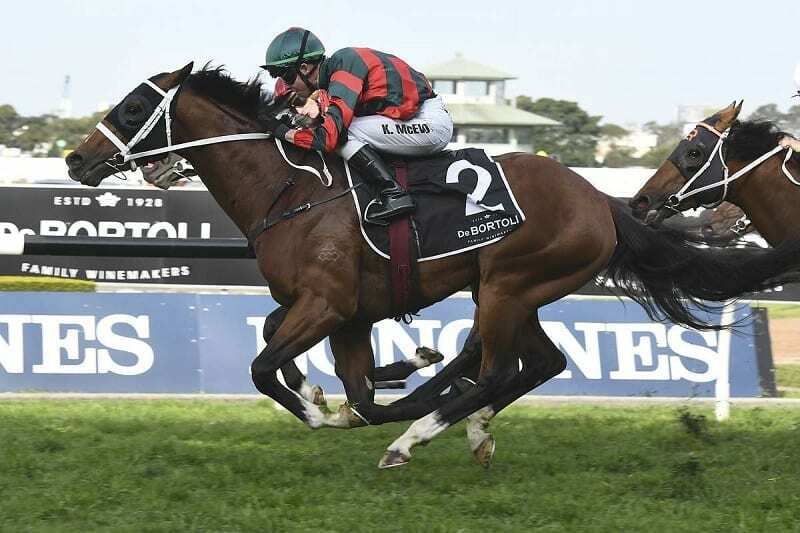 The Autumn Sun is the $1.60 favourite at online bookmaker Sportsbet to win the 2019 Randwick Guineas. The in form Nakeeta Jane ($6) is on the second line of betting while Vegadaze ($9.50) is the only other runner in single figures. The Randwick Guineas has been won by some classy three year olds including 2015 winner Hallowed Crown and Weekend Hussler, who took it out in 2008. Because the race is run on the same day as the Australian Guineas at Flemington, it is generally a race for New South Wales horses to conquer, with very few interstate raiders making the journey. It will also more than likely be a colt or gelding that conquers this race, with the only mare to have won since it became the Randwick Guineas (in 2006) being Mosheen in 2012. It was a popular Randwick Guineas for favourite backers in 2018 after Kementari cruised to victory. After settling towards middle of the pack Glyn Schofied waited patiently with the galloper until it was time to go and that’s exactly what he did. Smoothly taking the front at the 150m mark before dashing away to record the one anf a half length win. Tommy Berry and Inference combined for a memorable win in the 2017 Randwick Guineas[/caption] Three-year-old colt Inference made the best of the wet conditions at Randwick to score an impressive victory. The Hawkes-trained son of So You Think finished off right down the outside rail in a close tussle with Invincible Gem, which looked to have a winning break halfway down the straight. With Tommy Berry in the saddle, Inference was able to use the best part of the ground to score the big win. Read full report. It was meant to be Press Statement who won the 2016 Randwick Guineas but it ended up being a Kris Lees-trained roughy called Le Romain who took the chocolates. After stealing a break on the pre-race favourite, Le Romain held on for a dramatic victory with Lees’ reaction being broadcast around the country. It was a nice ride from Christian Reith who got the three year old to settle, while Hugh Bowman battled with Press Statement. Gold Ambition ran on well to claim third. Read full report. Hallowed Crown was a star for the Cummings stable. Picture: Bradley Photos. Hallowed Crown continued a brilliant three-year-old season to win his sixth race from seven runs for trainer James Cummings. 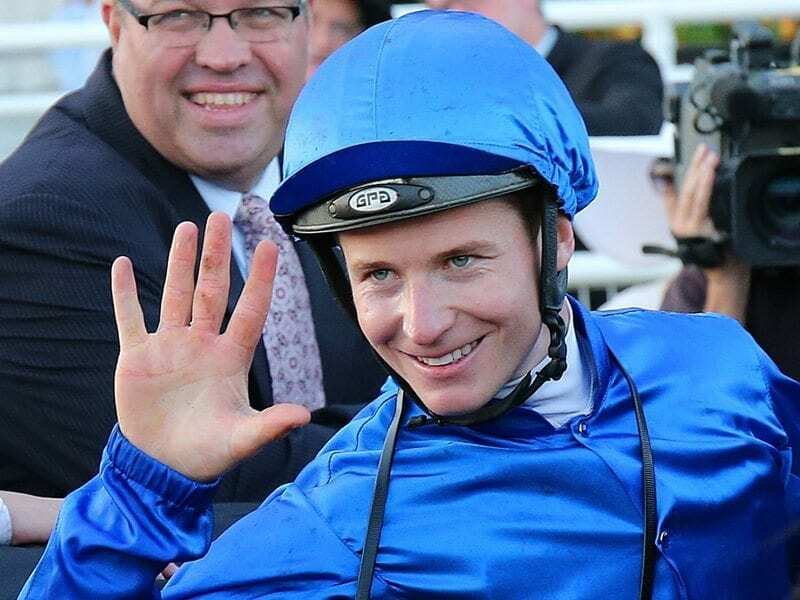 It was another group 1 victory for champion jockey Hugh Bowman, who got the sit behind Shooting To Win, the pre-race favourite at $2.50, but it took serious guts to hang on with the Caulfield Guineas winner seemingly in good fettle. Hallowed Crown ($2.90) eventually drew level with Sweynesse ($3.90), with Shooting To Win failing to kick in the final 100m, to fall to third by a head. It was Hallowed Crown’s fifth win in six races. It was a Jim Cassidy masterclass that got Dissident home this year. The $11 chance upset the Kiwi favourite El Roca ($3.20) in a bruising race highlighted by El Roca rough housing Dissident on the straight, but under Cassidy’s guidance it was able to find something in the straight and get home. The margin was a short head and another notch on the belt for leading trainer Peter Moody who had opted for Cassidy in the saddle after wanting a jockey who would stay with the horse. Eurozone, an $8 chance, was further back in third. 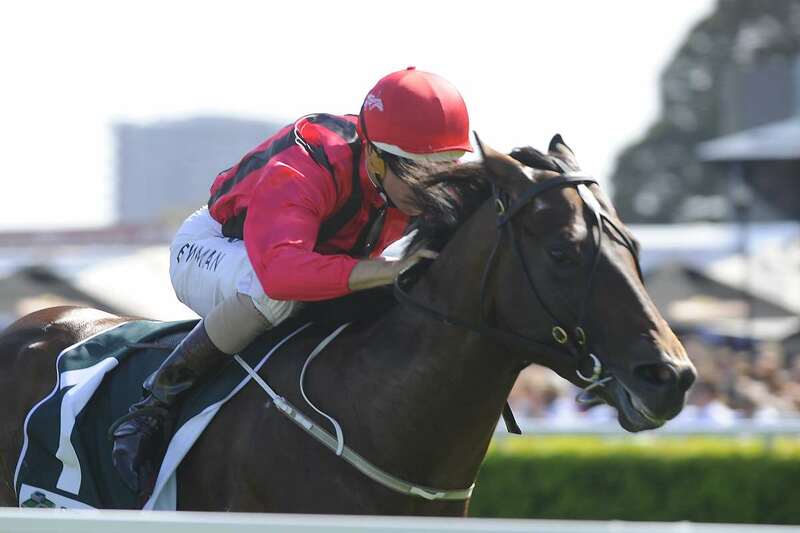 James McDonald combined with compatriot It’s A Dundeel to secure the Randwick Guineas. It’s A Dundeel, ridden by James McDonald, was super-impressive in stamping himself among the best three year olds in the country. The Kiwi raider began making ground at the top of the turn, and without any burst of withering pace, managed to hold off Proisir to win by half a length. Trained by Murray Baker, It’s A Dundeel, was the beaten favourite in the Victoria Derby, but showed greater maturity to win the Guineas. It’s A Dundeel was a $6.50 chance with Sportsbet. Mosheen, trained by Robert Smerdon and ridden by Danny Nikolic, proved too strong at the $4.20 mark. The Fastnet Rock filly had finished second in the Golden Slipper the year previously, but proved it was better than that with a great win over some strong geldings, Said Com and Laser Hawk, who made up the placings. With a poor barrier (12) a hindrance, Nikolic dropped Mosheen back in the field and relied on her devastating turn of foot to secure the win.